Now that the federal Liberals have made good on their promise to bring in 25,000 Syrian newcomers, the government is calling on the private sector to step up and help those struggling to pay the rent. After clearing more than a few hurdles, the federal Liberals have made good on their promise to bring 25,000 Syrian refugees to Canada. It represents a significant milestone for the Liberal government, particularly given the divisiveness over the issue of refugee settlement in some other countries. 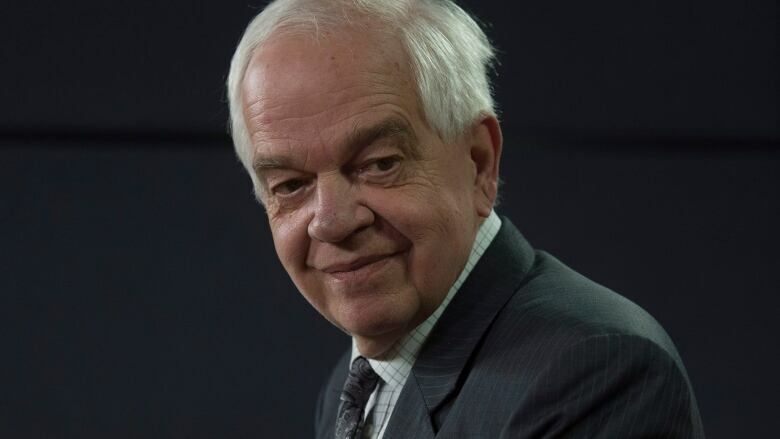 "It's great to hit the target but it's only phase one," John McCallum, Canada's Minister of Immigration, Refugees and Citizenship, told CBC's Metro Morning. "Phase two is to welcome and settle them properly. But it does feel good." That target was hit on Feb. 27, with 48 hours to spare. In November, McCallum made the pledge after the government revised its campaign promise for meeting the number at the end of 2015 to give themselves a couple more months. There are now well over 25,000 Syrian arrivals here. McCallum said that's leading the way in the world. "Canada's one of the few countries which is saying, 'Come on in' to many refugees albeit after their checked properly for security and health," he said. "In the United States, they are divided. We have the Obama administration supporting us wholeheartedly on this. But we have Donald Trump saying keep all the Muslims out." He said that in Canada, all three political parties supported the plan, as well as thousands of citizens sponsoring refugees to come to the country. "It does show where we stand as Canadians," he said. But the $678-million plan for refugee resettlement is not quite a success, yet. There are still challenges in finding permanent housing for refugees in cities like Toronto and Vancouver. The government added more destinations for refugees to settle, like Victoria, Peterborough and cities in New Brunswick. So Syrian newcomers in Toronto could be moving to another city. "We look very hard for where we can find the right mix for individual families — that depends on housing, if they know people, if they have special needs," he said. And refugees still struggle to make rent in those cities. McCallum said there is no more funding for rent coming from the government. Instead, he told CBC's Metro Morning host Matt Galloway, that money needs to come from the private sector. The resettlement initiative has already raised $30-million from private donors, including $5-million donation from CN. "We have to preserve a delicate balance here," he said. "On one hand, we want to be generous and welcoming to the refugees, on the other hand we don't want to put them in front of the queue compared to other Canadians." Social housing, assistance and other programs aren't available for Canadians, McCallum said, so they won't be available for refugees, even in expensive cities like Toronto. Just over half of the Syrian newcomers in Canada have been resettled. When it comes to who to help first, McCallum admitted that Canada has placed an "added emphasis" on getting Syrians into the country. He said Canada would still accept refugees at the same pace from other parts of the world, but the rush to get Syrians into the country was both warranted and the right thing to do. "It was right to put a special priority on Syria given it was a huge global crisis. It's threatening the European Union in a profound way," he said. "So I think we were right to step up to the plate."